Aside from the question, “Who is N.T. Wright?”, the rest of the title of the post might scare you, with the phrase: “penal substitutionary atonement?” What is that all about? A brief illustration might help. A few years ago, a worship committee in a mainline denomination decided to try to change the lyrics of that highlighted line, from “the wrath of God was satisfied,” to “the love of God was magnified.” There is nothing theologically wrong with the phrase, “the love of God was magnified,” with respect to Christ’s death on the cross. The idea of Jesus dying for others, out of God’s great love for humankind, is a well established idea in biblical thought. The problem comes with removing the language of “the wrath of the God was satisfied.” Stuart Townend and Keith Getty, the writers of the song, refused to give the denomination permission to change the lyrics. As a result, “In Christ Alone” was dropped from that church body’s hymnal. So, what was wrong with removing the wording, “the wrath of the God was satisfied?” Well, the concept of the wrath of God being satisfied by Christ’s death on the cross is tied to the doctrine of penal substitutionary atonement. I can try to define this in one sentence, put backwardly: Jesus died to deal with the problem of human sin (the “atonement” part), by standing in our place (the “substitutionary” part), to take the penalty of human sin (the “penal” part), upon himself, so that His death would bear the just penalty of our sin, allowing us to be healed and to become reconciled with God. Reconciliation with God is the goal of the Gospel. Therefore, to deny penal substitutionary atonement is essentially to deny the Gospel. For many evangelicals, them be fightin’ words: You do not mess with the doctrine of penal substitutionary atonement! The problem is that my long sentence in the previous paragraph requires a whole lot of unpacking, and unfortunately, sometimes the unpacking of that sentence gives a misleading caricature of what the death of Christ is all about. Critics of the doctrine of penal substitutionary atonement say that this gives us a rather paganized view of God: an angry, barbaric, capricious, and blood-thirsty God. But does this criticism apply merely to the caricature of penal substitutionary atonement, or to the very doctrine itself? Are “Bible-believing” Christians Scripturally aware enough to be able to tell the difference? N.T. Wright, therefore, would have us substitute the “wrath” of God with the “love” of God, in Townsend and Getty’s now-classic worship song, as a way of moving us along in the debate over penal substitutionary atonement. But is N.T. Wright himself rejecting merely the caricature of penal substitutionary atonement, or the full content of the doctrine itself? Some evangelicals, such as The Gospel Coalition blogger, Trevin Wax, believe that N.T. Wright is only rejecting the caricature, and not the very doctrine itself, thus affirming Wright’s orthodoxy. Some other critics however, within evangelicalism, are convinced of the latter. For example, Southern California pastor, John MacArthur openly says that while he is not sure as to what N.T. Wright exactly affirms, he is completely sure as to what Wright denies; namely, that Wright denies penal substitutionary atonement, and therefore, Wright denies the Gospel (link to YouTube video). Whew!! I do find it rather startling that a pastor of MacArthur’s prominence, would be so bold to denounce another bible teacher, while at the same time admitting that he does not understand what that other bible teacher is actually teaching! Nevertheless, it does raise the question: Trevin Wax wrote his defense of N.T. Wright, linked above, in 2007. Has N.T. Wright shifted his position since then? In criticizing the caricature of penal substitution, is N.T. Wright now chipping away too much at the very doctrine itself? Perhaps the best way to resolve this dispute is to allow N.T. Wright to answer the question directly, as he did in a recent interview with Justin Brierley, the host of the Unbelievable podcast. Ultimately, it matters not what N.T. Wright thinks, nor what Trevin Wax thinks about N.T. Wright, nor what John MacArthur thinks about N.T. Wright. What matters most is what the Holy Scriptures teach. N.T. Wright gives his view in 10 minutes below, to the question: “Do you believe in penal substitution?” How would you respond to that question? For more on why N. T. Wright both fascinates and frustrates other evangelical Christians, read this Veracity post from several years ago. As I argued in that blog post, the problem with Wright is not so much in what he affirms, but in what he denies. Perhaps in arguing for what he affirms, which we should make a concerted effort to properly understand, before jumping in too quickly to criticize, Wright makes too much out of what he denies (or he is not as clear as he could be). To get a more critical engagement with Wright, particularly on one of his most recent books, The Day the Revolution Began, consider the following two reviews: by Dane Ortlund and by Michael Horton. For the record, I have no problem singing “the wrath of God is satisfied,” as I view there to be a clear distinction between the classic doctrine of penal substitutionary atonement and its caricature, as John R.W. Stott carefully explains in his masterpiece, The Cross of Christ. This entry was posted on Saturday, December 8th, 2018 at 4:00 pm	and tagged with John MacArthur, N.T. Wright, penal substitution, substitutionary atonement, trevin wax and posted in Topics. You can follow any responses to this entry through the RSS 2.0 feed. Derek Rishmawy, a blogger who writes a lot for The Gospel Coalition, has a very engaging review of N.T. Wright’s book, _The Day the Revolution Began_. Rishmawy adequately covers what I think is the best way to see Wright: Wright is very much right is what he affirms, highlighting the teaching of Scripture that is often missing in evangelical churches. But in order to make his argument, Wright introduces too much of a false dichotomy as a foil to make his otherwise, valuable case. At a popular level, Rishmawy suggests Joshua Butler’s _The Pursuing God_, who makes the same type of points that Wright makes, without dredging up an unnecessary false dichotomy. As noted in the blog post above, while Wright is a profound and needed theologian, the problem with Wright is not so much in what he affirms as in what he denies. Very interesting and timely post, Clarke. One of the great shortcomings of the contemporary church in the seeker-friendly era is the lack of teaching on the significance of sin. Sin is serious business, and the basis for the entire Doctrine of Redemption. 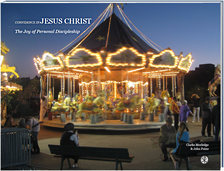 Culturally, we want to relate to God more like Santa Claus than the holy, just, self-sacrificing, triune Creator and Sustainer of the universe that He so wonderfully and mercifully is. William Lane Craig spent years studying, teaching, and publishing on the Atonement. He concludes, “Penal substitution must therefore be a part of any biblically adequate atonement theory.” See https://www.reasonablefaith.org/writings/question-answer/must-a-biblical-doctrine-of-the-atonement-comprise-penal-substitution for his argument. Also, here is a recent video summary. “However I find that when I tell the story of God’s desire to liberate the whole creation from its slavery to corruption and decay … it doesn’t rule out the other theories of Atonement (my italics), it gives them space to make their proper contribution. 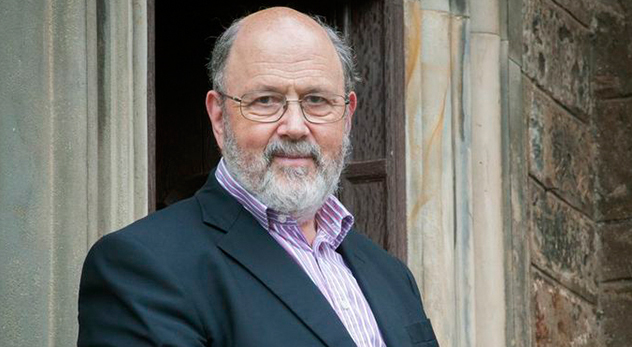 I want all the theories of Atonement because they do ultimately all fit together …” From N. T. Wright, The Atonement Debate, https://www.youtube.com/watch?v=IA8CY5iC_ww.